This video aims to connect my painting process with "Submersive Gardening", by following the journey of a single atoll through creation, destruction, and a rebirth in the form of pods on a pond that grow plants. 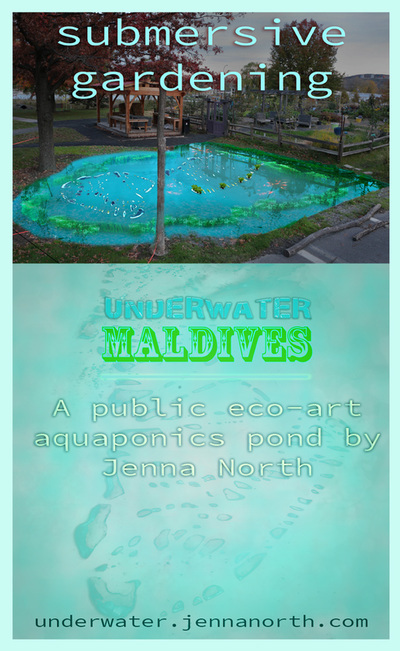 Submersive Gardening is an art project of international scope that is part of a larger public art intervention in the Maldives, envisioned by artist Jenna North. Formed by coral reef casings of sunken volcanic mountains, The Maldives is a country composed of 1200 islands nestled in the Indian Ocean off the southern coast of India. High on the list of island nations threatened by extinction due to the rising sea levels caused by the thermal expansion effect of global warming, The Maldives faces the likelihood of losing their culture through a scattered relocation of environmental refugees. Each project location will recreate the individual atolls of the Maldives, transforming them into functional aquaponics public eco-art platforms overseen by North. A first glance provides a painterly spectacle of displaced geography. These ponds will serve, feed and educate a multitude of communities, while raising awareness of the interconnectedness of our own carbon footprint and vulnerable island nations. 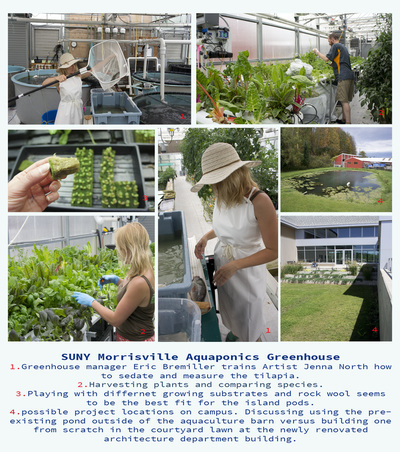 Submersive Gardening will spread climate change awareness while addressing adaptation through conservation and sustainability. Functional Eco-Art: These ponds will recreate the individual islands of the Maldives as floating pods that act as a substrate for growing edible plants. The freshwater pond will be stocked with fish to fertilize the plants and can also be harvested. There will be an interactive kinetic component, where the islands will slowly be pulled underwater to illustrate thermal expansion/ sea level rise. Another feature of the pond will involve light, through integrated fiber optics to both represent the smallest islands and simulate seaweed and other ocean plants. Bioluminescence is also being explored. A pneumatic system would assist in floating and submerging the island pods into the water while also providing oxygen for the plants and fish. Green energy will be incorporated into the design to provide any necessary power needs. Some of the systems being explored are: solar, micro-hydro, bio-gas and captured kinetic energy from human interaction. social sculpture: Since the UN Climate conferences have failed to agree on a global plan to slow the warming of the planet, the waters continue to rise at record speed as developing nations follow our western foot. 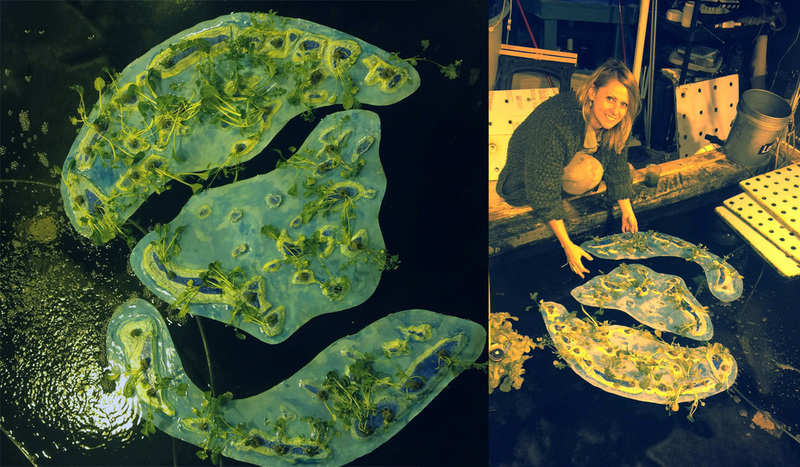 In Submersive Gardening, the plants grown on the surface of the floating refugee islands will represent life in embattlement with the elements. The intention is to use art as the springboard to frame natural and human led farming phenomena in a playfully living, dimensional and kinetic painting on water. 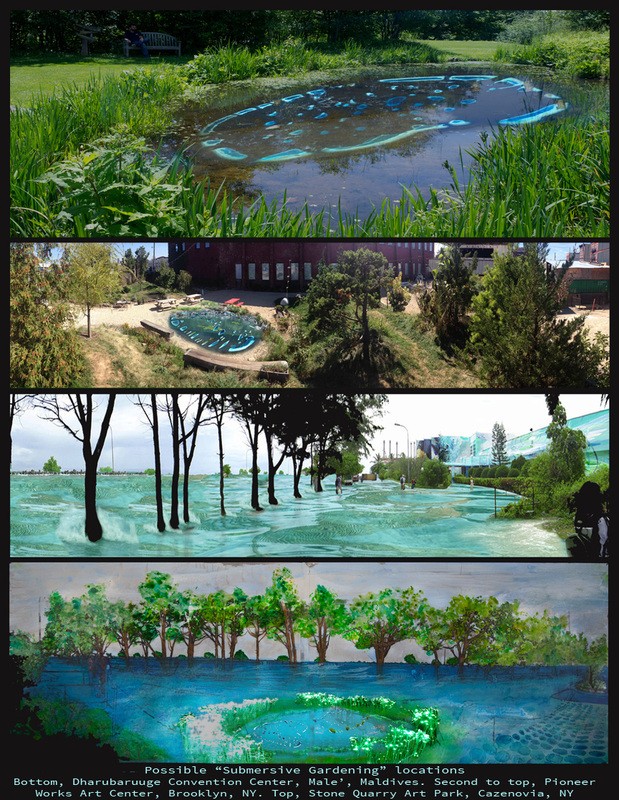 Long-term/Global: The plan for these educational eco-art ponds is to break the project up into the 19 administrative atolls of the Maldives, with ponds being located at active venues across the world. Jenna North: An artist/curator/professor/community arts organizer and a post-apocalyptic interior decorator, North also comes from a strong background in painting. It is through this medium that she conjures concepts that take the paint off of the two dimensional substrate and out into the natural world. Submersive Gardening was born out of the larger project, Underwater Maldives. Her interest in the Maldives led to a research residency where she envisioned and began organizing an ecologically driven community public art project that aims to create a melting pot of sustainable technologies to create a green (or rather, blue) redesign of architecture and a city park at the National Convention Center in Male’, the capital of the Maldives. An International Team: This multifaceted project requires a significant amount of consultation, and North is working closely with multiple departments at State University of New York Morrisville, UK based Maldivian scientist Professor Hassan Ugail, NYC based Maldivian Scientist Shifaan Thowfeequ, Cornell University research scientist Andrew Dolgert, EcoCare, Sai Level Change and other professional artists, designers, and ecologists. The team will continue to expand as the ponds manifest, as it’s important to North that she involve the communities and stakeholders invested in the individual pond projects. 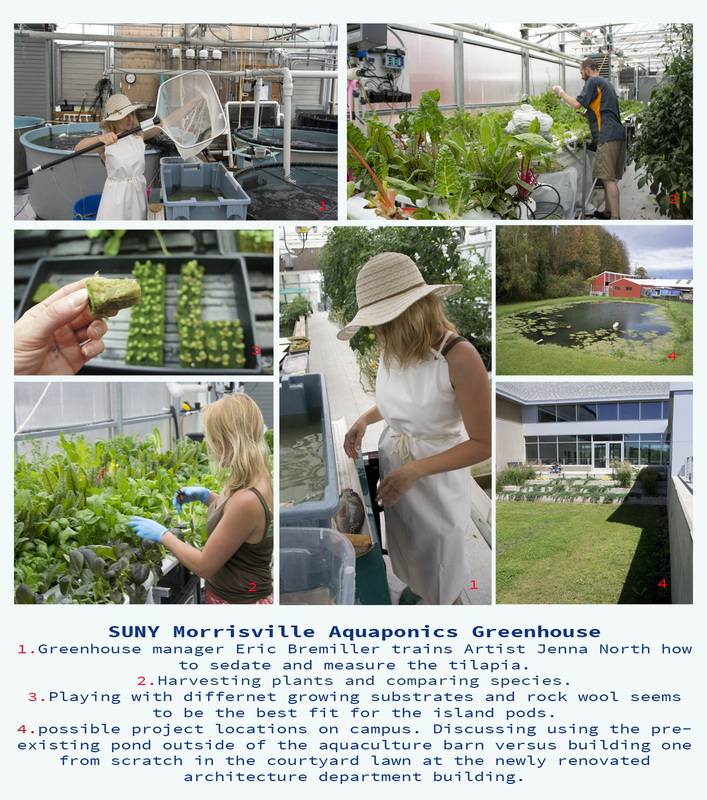 North is currently in the planning process of creating a prototype pond at Sculpture Space, an international artist residency program in Utica, New York, as well as working with SUNY Morrisville on an on campus prototype.